The countdown is on. Or at least a bit more on than it’s been for the past year and a half. With a summit planned for 14 December, we might be a bit closer to a deal on Brexit being agreed. Problem is, nothing much has happened and it’s still not that much clearer than the last time we checked. Here are five things that have changed in the past few months. Brexit could cost the UK up to €50bn, according to reports this week. It’s a mind-boggling sum of money, which the EU has said the UK needs to pay before it can leave. It covers things like the cost of the pensions of people working in the EU, but there are also really complicated calculations to work out how much money the UK owes for projects it agreed to fund when it was an EU member, but will start after it leaves. It’s a bit like agreeing to go on holiday with six of your friends and splitting it between six, and then one person dropping out, making the whole thing a lot pricier for the others – they'll be pretty annoyed about it. Just how big this ‘divorce bill’ is going to be has been a sticking point for the EU, and negotiations were pretty much stalled until they worked it out. So the fact they’ve come up with this figure is a sort of progress. Problem is, the UK had previously said it was going to cost €20 bn, and considering UK citizens are always being told there’s ‘not a magic money tree’, it’s hard to understand where that money’s going to come from. it currently has (the single market) there'll need to be a border between Northern Ireland and Ireland, which will make it a lot harder for the two countries to trade with each other. That doesn’t really suit either of them. The 'soft border' between Ireland and Northern Ireland is pretty crucial to the good relationship between the two. The leader of the Irish Parliament (called the Taoiseach), Leo Varadkar, has put his foot down and said he won’t allow a border between Ireland and Northern Ireland, as it will disrupt trade between the two countries and will threaten the Good Friday Agreement – which brought an end to decades of violence in Northern Ireland. Arlene Foster, the leader of the Northern Irish Party the DUP (they’re the ones propping up the UK government, if you remember back to the general election this summer – more about them here) has said that Varadkar is using Northern Ireland as a bargaining chip. It’s not exactly going well. On 14 December, EU member states will meet at the summit-to-end-all-summits. The two weeks leading up to that date could potentially be the most critical in the whole process. 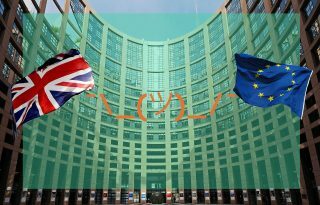 With a vague agreement reached on one of the key sticking points for the EU (that €50bn), the hope is that the talks will move on at the summit – they won’t be talking about how much it’s going to cost for the UK to leave the EU anymore, but what that will actually look like – things like trade and how to manage the transition from the UK being a member, to not being a member. Still. They’re still arguing. 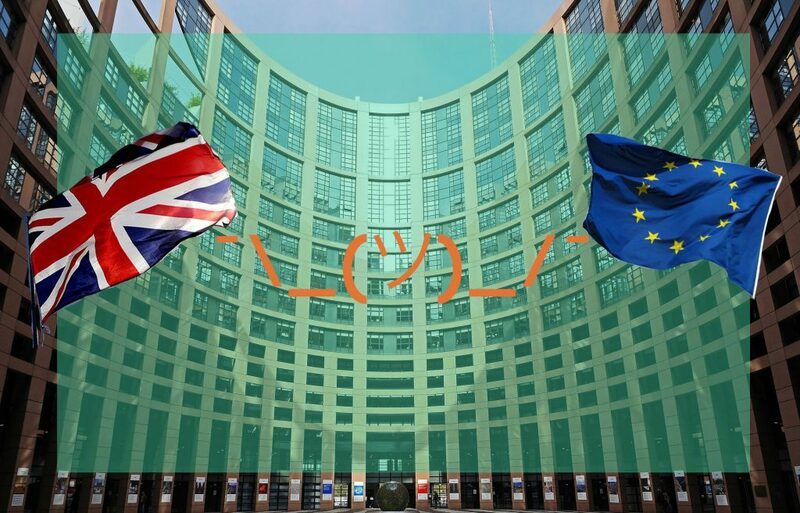 The latest all-parliamentary beef is about whether or not the government is being transparent about what the impact of Brexit will be, but it’s just adding to a long list of things that the UK government can’t agree on. What does the Impact Report say? The government has (kind of) handed over its report into the impact Brexit could have on 58 sectors to parliament. Except its not complete. MPs voted at the start of November for the findings to be released but David Davis, the government's Brexit secretary, says he's not convinced MPs will keep the information secret. He says there's stuff in there that could harm the negotiation process if it gets out. A number of Labour politician have stuck their heels in over a government report into the economic impact Brexit might have. Rather than deliver the whole thing, the government chose to edit it, and only deliver part of (in other words, the report was redacted). Not a lot has been cleared up, but people are still making some pretty radical decisions off the back of the vote. Net-migration to the UK has fallen by 100,000 since the vote, recent stats have shown. That “net” figure takes the number of people leaving the UK, and subtracts it from the amount of people moving to the UK. It’s the first time that figure’s been calculated since the Brexit vote, and it’s the biggest fall since migration records began. There are still more EU nationals coming to live in the UK than are leaving, but their numbers are down 19 per cent, the figures show, with people from France, Germany, Spain and Poland leaving in the highest numbers. We’re also constantly being told that the price of our breakfast is going to go up, the price of clothes, or the price of fuel – a recent survey said 83 per cent of Britons were worried about those rises.